Hi Digital Marketers! You all are stars.. You know why because your hands are full with all the new and cool ways to approach your audience. Yes I understand personal and professional relations are really very different! 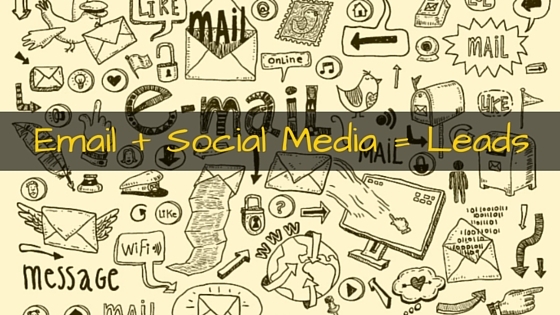 But trust me I can give you 3 instant reasons that will make you to agree with my point that you should start linking up your subscribers to the Social Media. Identity: It’ll put a face and a name and will give you an identity of your email subscribers. Requirements: It’ll guide you about the likes and dislikes, needs and requirements of your subscribers. Conversation: If you publish some interesting contents then you might earn some new followers and you may get into conversation with them. I hope you there won’t be any Digital Marketer who doesn’t want to make it successful. This can be a good start up . You can link your yahoo and Gmail contact to your Twitter account. All you have to do is open your company’s Twitter A/c. On the left side look for an option that says People you may know or Find Friends. From here, you may connect your personal or professional email account. 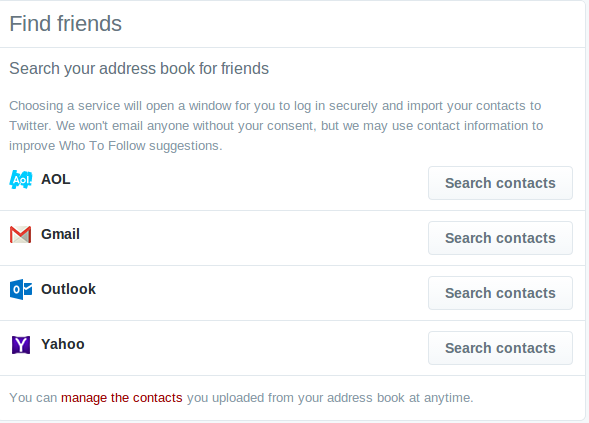 Twitter will then check those emails IDs in their user database and will show the profile of your contacts . What’s next is – Follow them! This will works more efficiently if you are using Google Apps for your Business because you can easily sync all of your professional contacts or can say your subscribers with your business Twitter account. To make your work easier you can upload a CSV of your contacts from your email, the process is quite simple. Export a CSV from your email provider. If you created any ad of your company to enhance your business (See Here). Now, go to ads.twitter.com => “Tools” => “Audience Manager”. Now you have to create a new audience list by first giving a name to the audience, then choose the type of data you are going to upload. Now waiting for what? Upload your list. Twitter will take few hours to process the list. Once it’s done, you can use your Twitter ads to target your audience generated by you only. This is an amazing way to promote offers, content, and downloads. The best way to represent your company professionally and grow your network is LinkedIn. 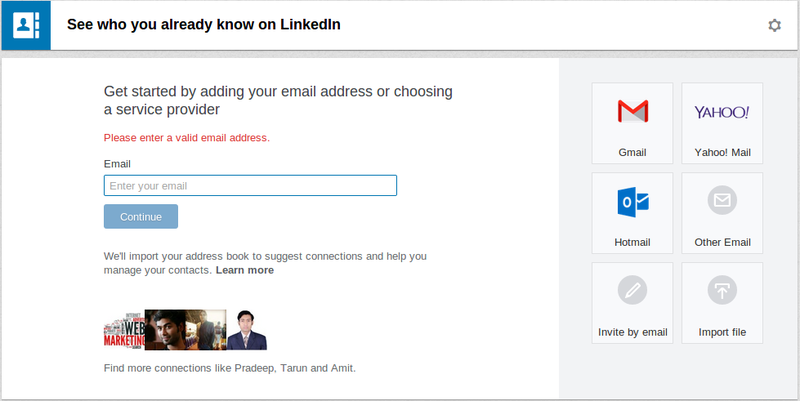 LinkedIn allows you get connected with your contacts of your personal email or even you can upload a list of your contacts. Open your LinkedIn, go to “Connections” => “Add Connections”. LinkedIn will then upload the file, then show you a list of contacts. You can connect with all of them at once or even you can pick and choose some particular one who you want to connect with. Once you are done and get connected, you may invite these people to your groups or can indulge them to follow your company. 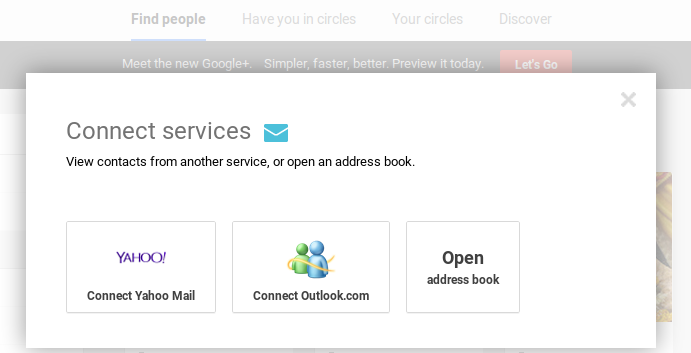 Open your Google+, Click on“Home” => “People”. You can check out whom you know and can share your daily updates and this can attract your contact or your subscribers towards your services. You can definitely import your contact list to your Facebook, but I don’t recommend doing this personally. Because it’s common for people to go through Twitter, LinkedIn and Google+ for making professional network but that doesn’t stands so well for Facebook. Although, you can create “Custom Audience” and can run targeted ads. You can use make these ads to get more “Likes” on your Facebook Profile or can even use them as a part of re-targeting campaign. Click on the green button on the right side of the page that says “Create Audience” => “Custom Audience”. Now choose customer list => Upload. Then, upload the CSV of email provider you use. From here, you can create an ad. Creating Facebook Ads is a deep topic itself, so without walking deep on that here, I can recommend you to check out Noah Kagan’s post What I learned spending $2 Million on Facebook Ads. These all Social Media maybe act as just a chill pill but remember a lot of people visit here to get their chill pill and if your content your ad is an interesting one then you have a high probability to attract your subscribers and increase your subscriber’s list. I have checked your site and I’ve found ultimate content.